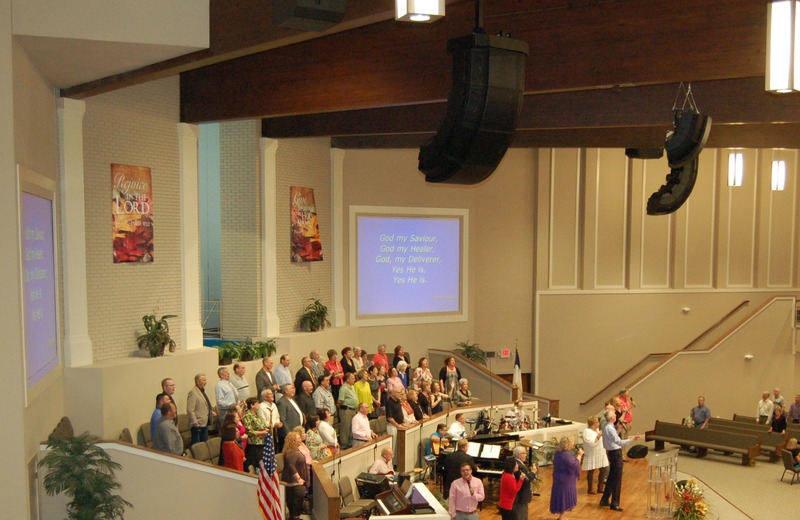 Image | October 11, 2018 November 14, 2018 | Polar Focus, Inc.
Polar Focus provided three custom one piece video headers for this video wall system at New Hope Church in Columbia, MD. 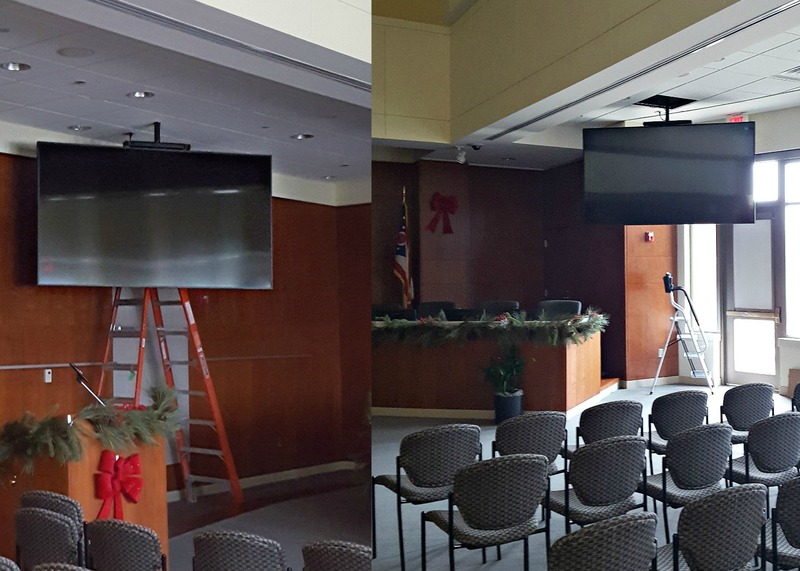 Each of the three video walls can be neatly suspended by two chain hoists each. This system was installed by Genesis Technology. 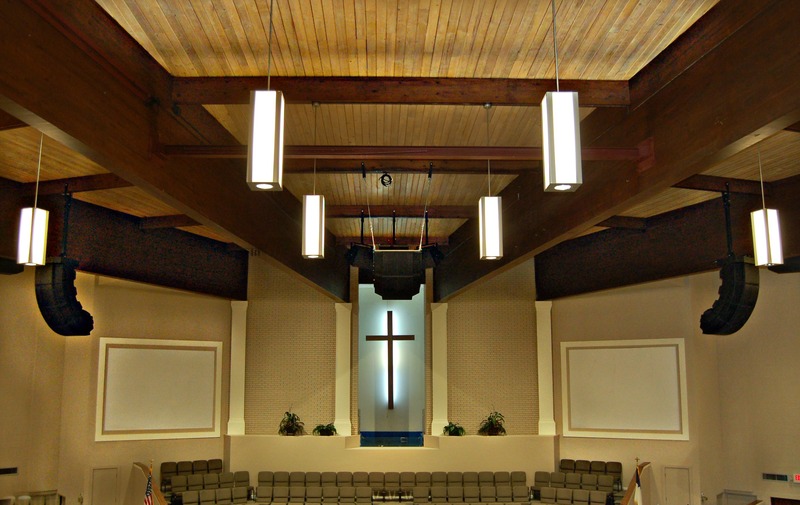 Great looking video screens! Image | October 12, 2017 October 12, 2017 | Polar Focus, Inc.
Community Loudspeakers is here at WFX to introduce the new IV6 line array product family. Polar Focus is at WFX to support Community’s efforts to introduce this product to the marketplace. 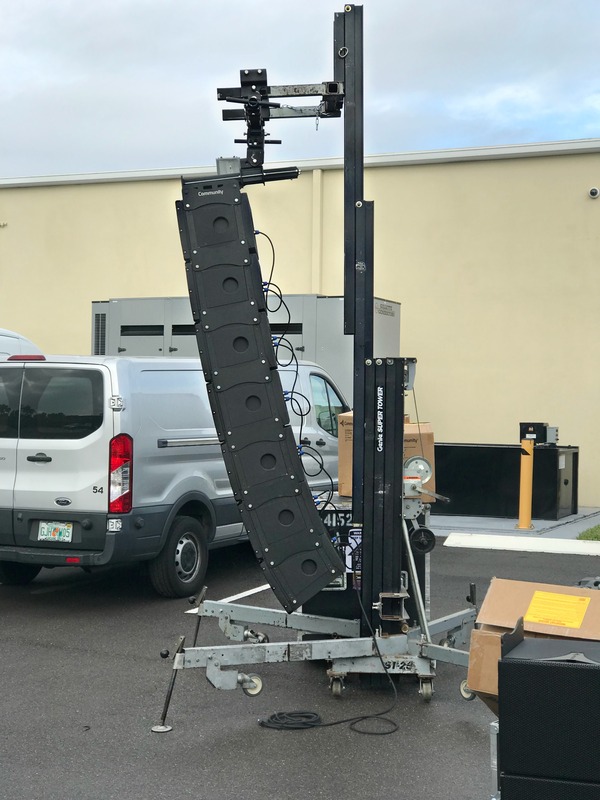 This new product family from Community utilizes a Polar Focus line array frame with infinite tilt adjustability and full compatibility with all of the Polar Focus line array accessories and structure attachment products. 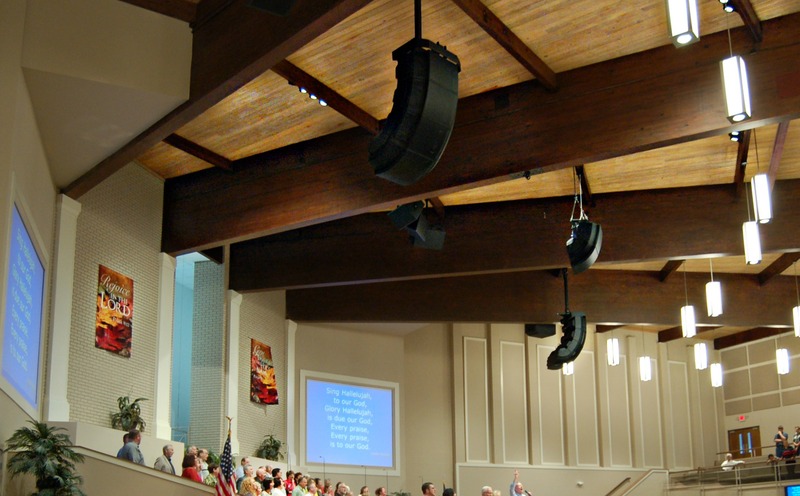 The team at Community did an excellent job creating a line array that both sounds and looks great. 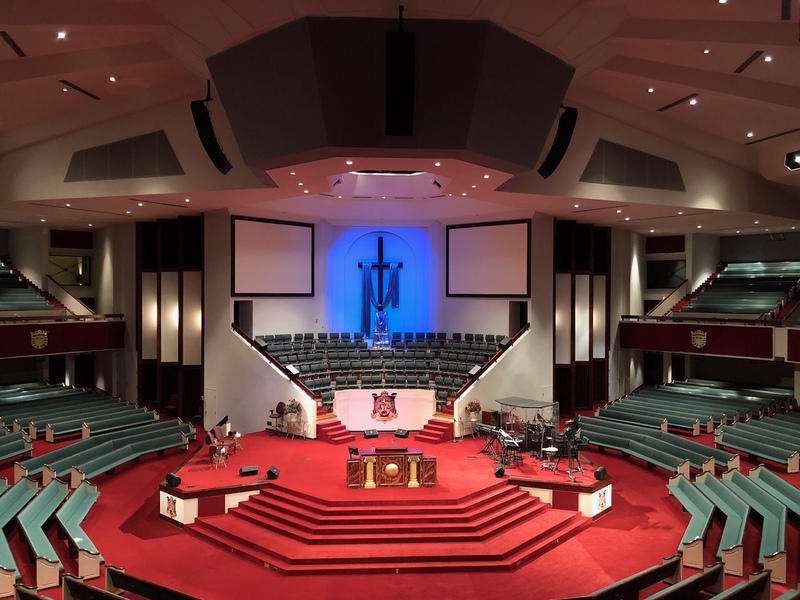 With 13 sound systems in the line array show at WFX, Community’s product line was by far the best-looking, and cleanest line array product there. 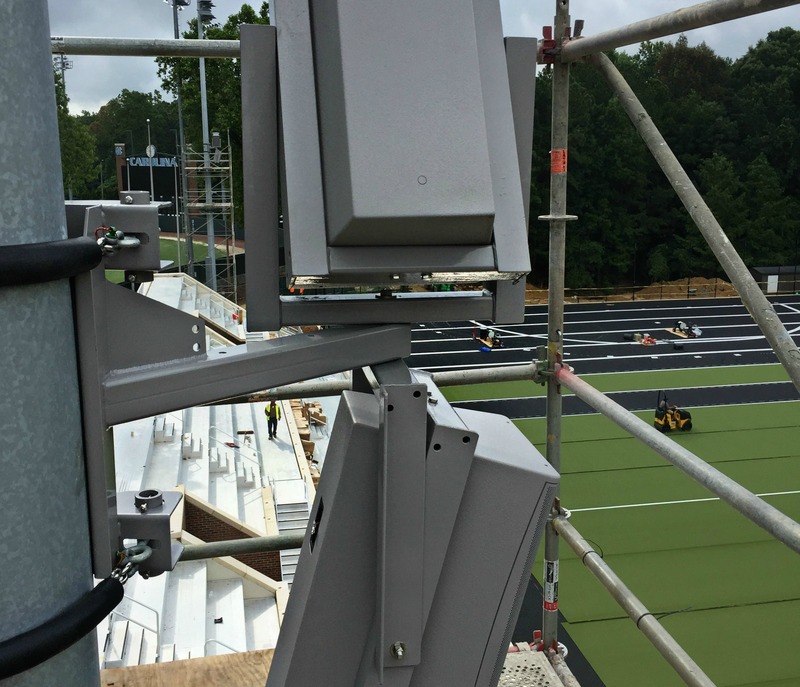 As many pro users know, a lot of line arrays can have a strongly mechanical or visually cluttered look with pronounced logos and a lot of visible hardware. Each IV6 module has 54 combinations of switchable settings for either box attenuation or horn attenuation. 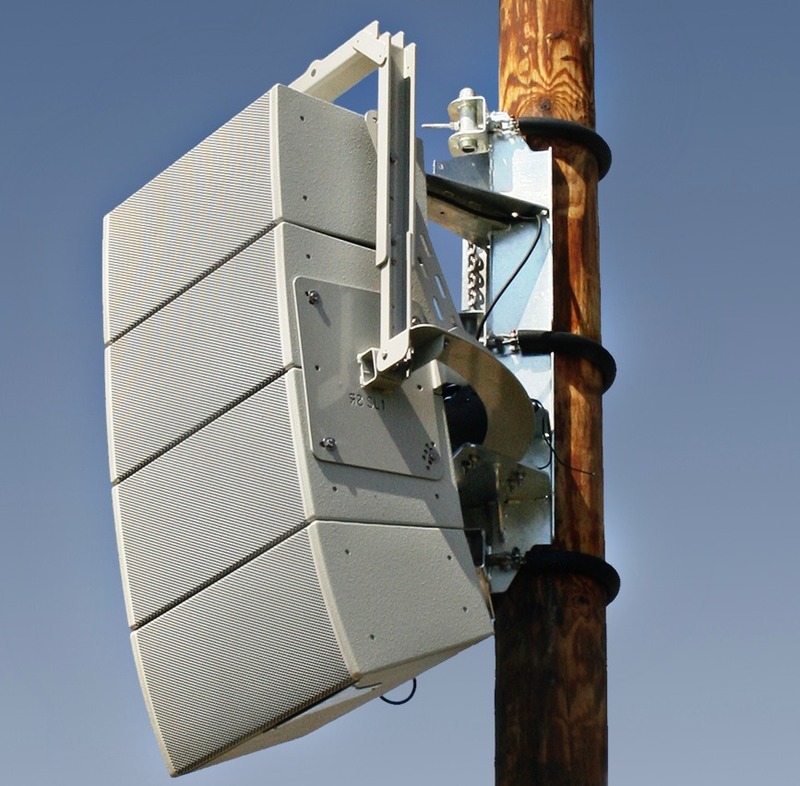 This means that an entire line array can be run passively from a single amplifier. Community has engaged the creators of the Ease Focus program to create a new version just for predicting the correct settings on their modules. When you combine the high quality of this system, Community’s always competitive pricing and their worldwide distribution network, we think this is going to be a big hit in the marketplace. Go Team Community! 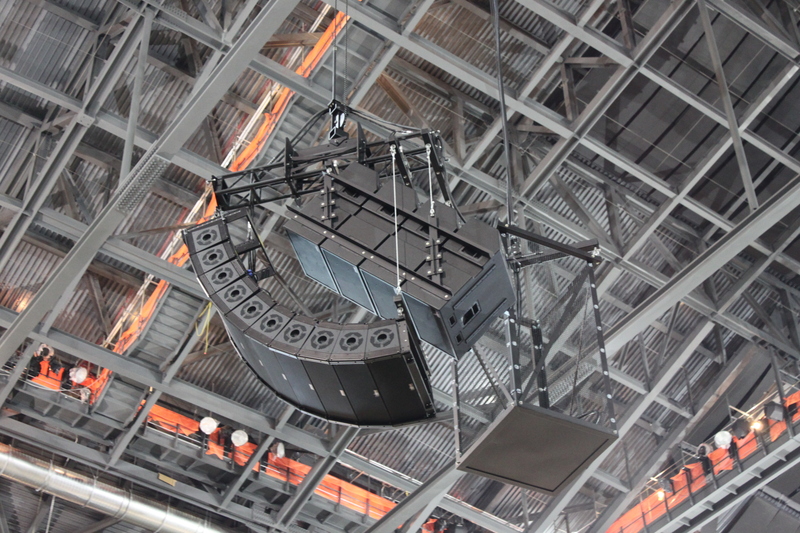 Image | May 18, 2017 January 28, 2019 | Polar Focus, Inc.
Chris Miller from CTM Sound in Sacramento, CA contacted us for assistance rigging these JBL Professional VRX932 clusters at a local ice rink. 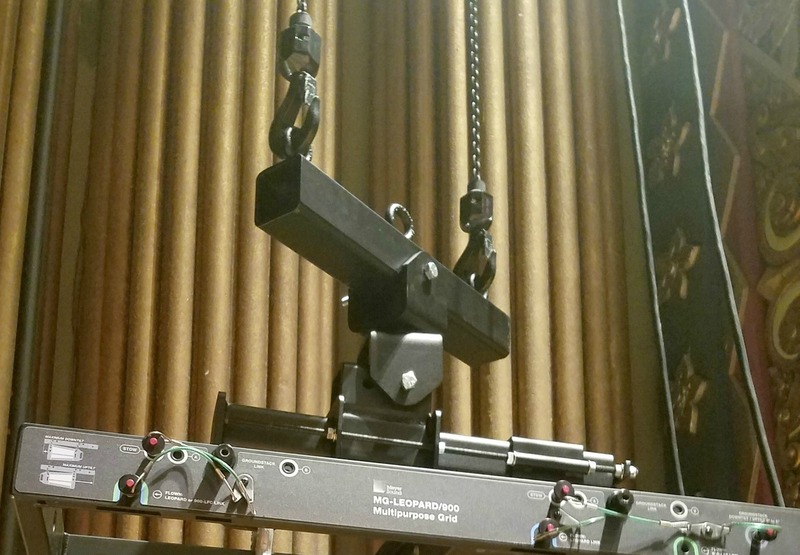 Polar Focus provided custom made wood beam brackets along with our Blackbird aftermarket frame for the JBL VRX932 family. Using this kit, Chris had full control of pan and tilt under load. 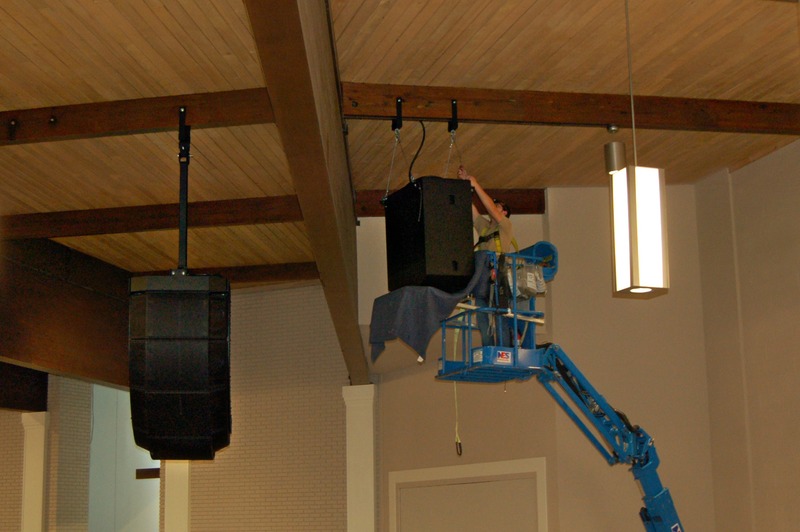 Here’s his feedback for the project: “What an easy way to rig some speakers! Thanks again for all the help.” And it looks fabulous too! 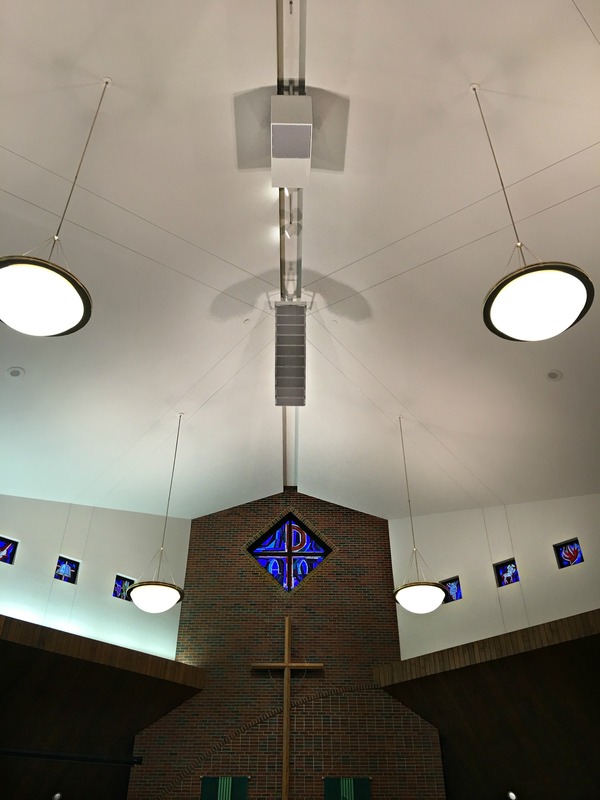 Image | February 28, 2017 March 3, 2017 | Polar Focus, Inc.
Paul Colella of McClelland Sound in Wichita asked Polar Focus to design rigging for this installation at Reformation Lutheran Church. 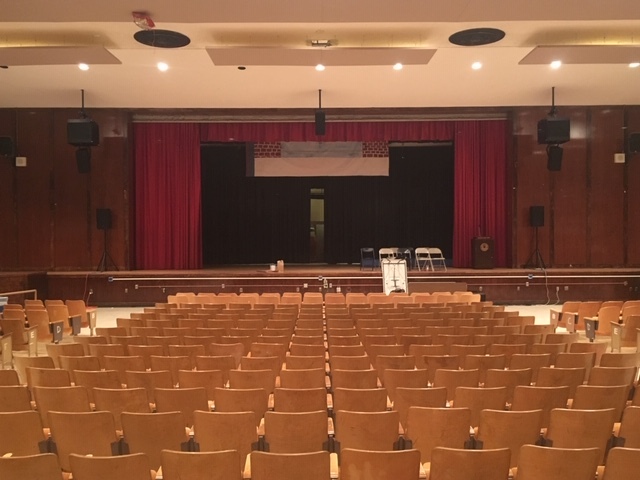 This cluster utilized 10 JBL Professional VT4886 line array modules as a main cluster, 1 JBL AC2895 as a fill box, and a Danley Sound Labs, Inc. TH118i subwoofer. 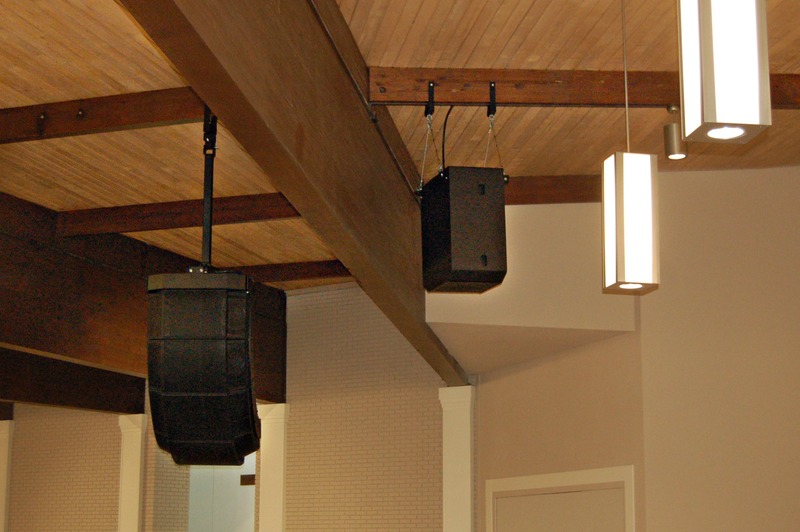 All of the speakers were supported from a steel I beam in a recessed cavity behind sheetrock at the peak of the roof. 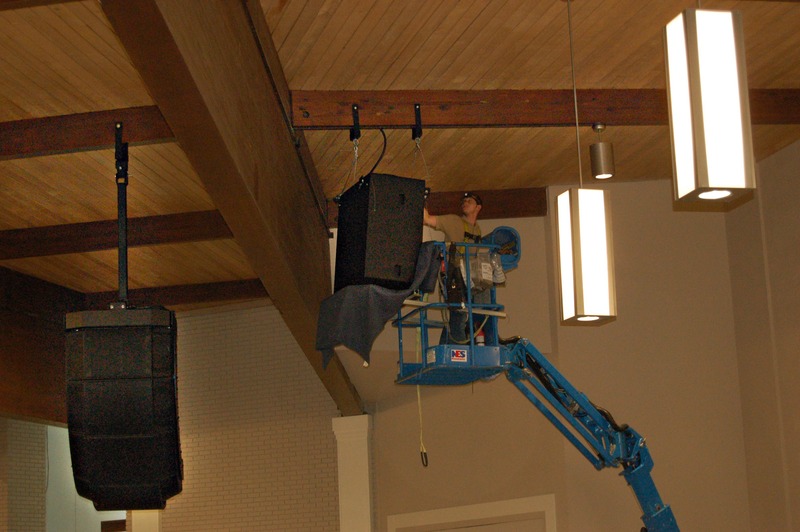 The line array was interesting in that we used hidden counterweights on the front of the line array frame to avoid using a pull back. Of course, the main cluster has infinitely adjustable tilt under load. 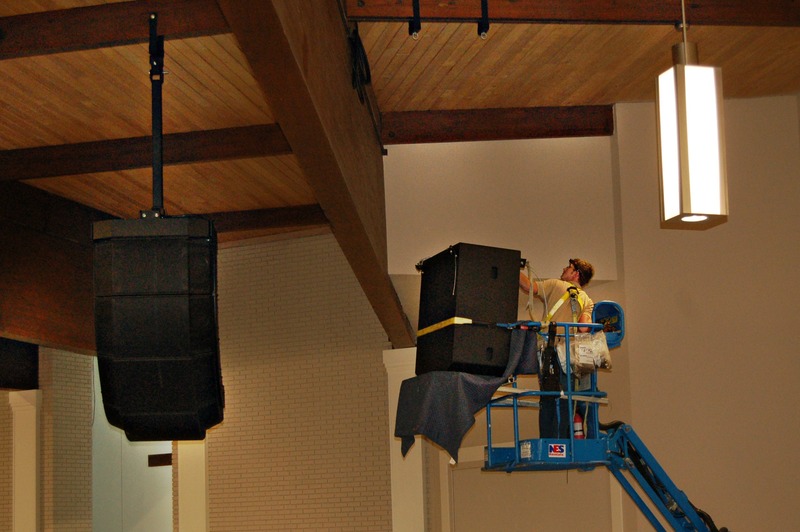 Clean installation with custom color on speakers and rigging by Paul and his team. February 21, 2017 | Polar Focus, Inc. Even our indoor rigging can stand up to outdoor conditions, tornadoes included. Image | January 26, 2017 July 11, 2018 | Polar Focus, Inc. 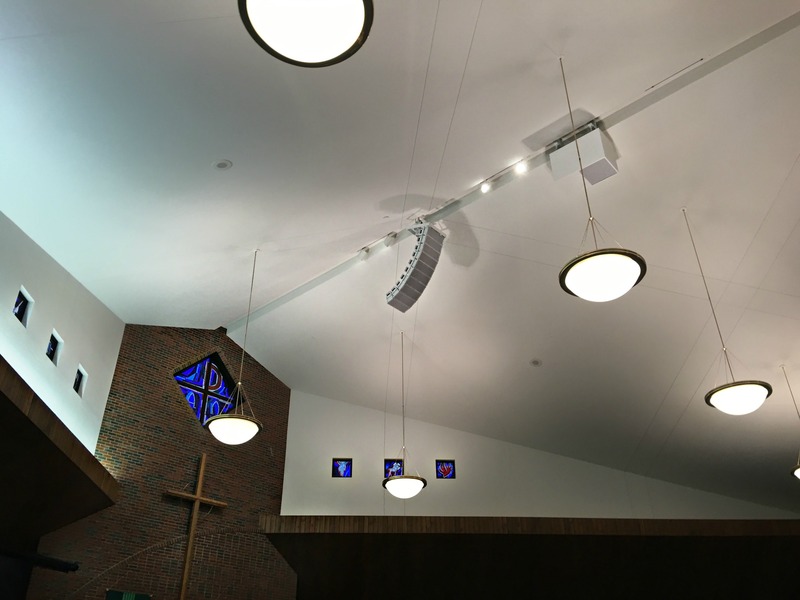 This beautiful system in Ravena, NY was installed by Ronco Communications & Specialized, led by Scott Hall. 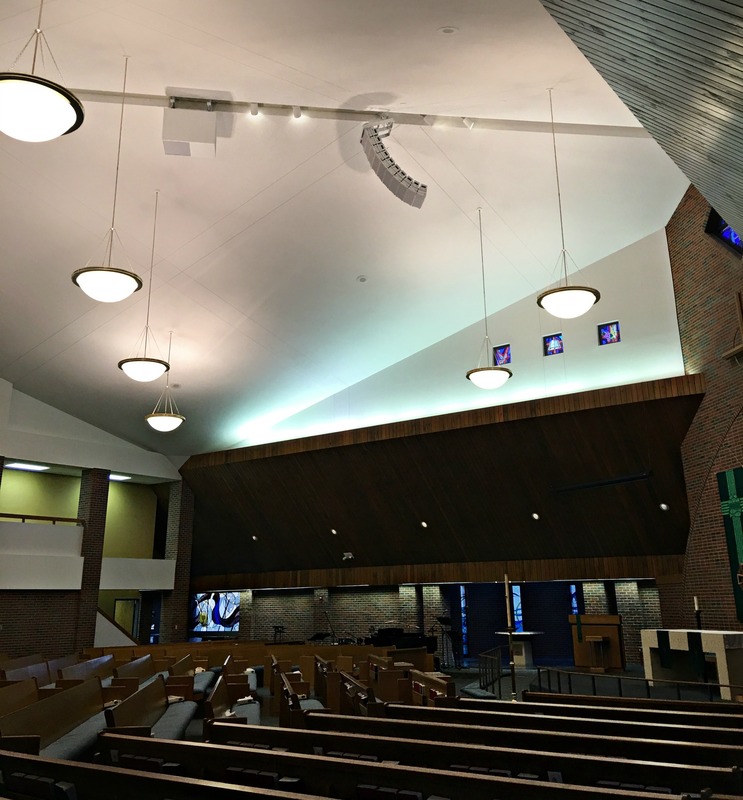 The job used JBL Professional PD6322/66 loudspeakers in a transverse format. It was desirable to use these speakers with yokes, but the speakers did not have yoke holes at the center of gravity. 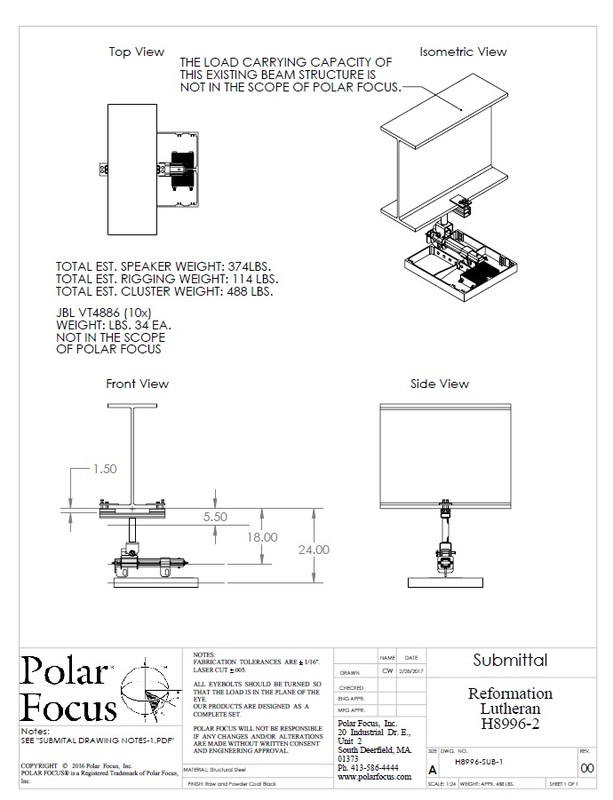 Polar Focus designed laser plate adapters for the ends of the speakers, to present yoke holes and then fabricated custom matching yokes. The yokes were supported by the Polar Focus Stem product, which allowed for a clean penetration through the ceiling panel, and acted as a cable raceway so no signal cable was visible. This system looks and sounds terrific. Good work by Scott and the gang at Ronco!